We are beginning to experience some warmer days in the Lake Cumberland area with some cool days yet to come as well. Fishng enthusasis are beginning to feel the need to get back on the water. 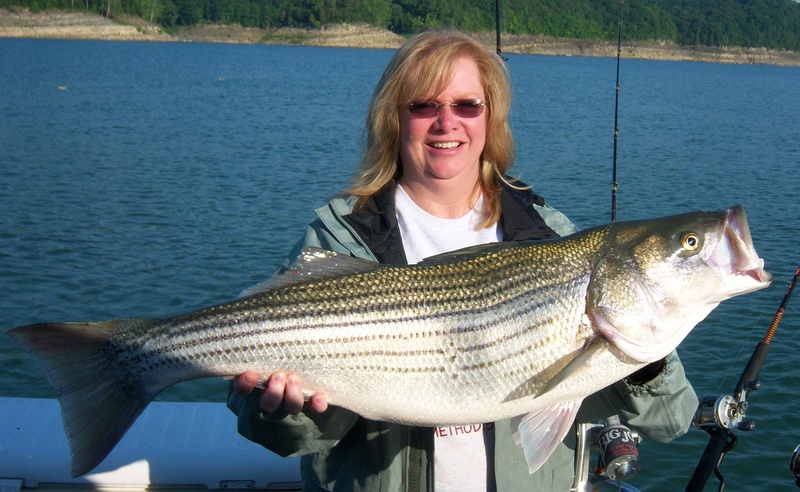 Stripers are moving up in the heads of the creeks being caught at 20-30’ depths using live bait (shad) tolling with planner boards. The water has been very muddy/merky but conditions are clearing each day. There is still some debris floating around due to the large amounts of rain received in the past 2 months. The current water temperature is 52 degrees. If you decided to provide your own boat for some additional fishing or boating pleasures, be sure to practice safe water tactics as you maneuver about on the beautiful waters of Lake Cumberland. Bookings for 2019 fishing season is underway with dates filling quickly. Be sure to get your date reserved to be a part of the excitement. Lake Cumberland has been classified as the anglers dream place to fish so don’t miss out, come on down. REMEMBER… Dates are booking now for all seasons of 2019 year’s fishing, so make plans to schedule a charter. Ask about discounts for consecutive days booked. Please note children under the age of 16 DO NOT require a Kentucky Fishing License. Weekends book first, so call early for availability and let’s go fishing!!!!! of Lake Cumberland. You must experience it to describe it. You certainly don’t want to miss the excitement! Remember to check out our pictures page for some of our recent catches. Once you take a peak, I know you will agree when I say fishing is good. Dates book quickly so be sure to call now for your reservations.